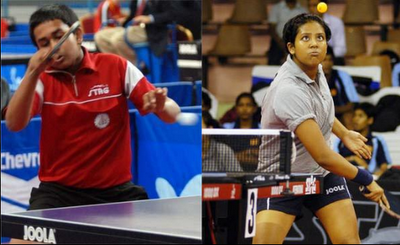 K Shamini and Soumyajit Ghosh win the prestigious Inter institutional Table Tennis titles. The tournament was held at Dharwad, Karnataka. It is worth noting that this tournament is the 2nd most important tournament on the Indian Table Tennis calendar and carries 50% more weightage than the various Zonal (national level) tournaments. Men (Final): Soumyajit Ghosh bt Anthony Amalraj 4-1 (11-9, 5-11, 11-9, 11-9, 11-6); Semifinals: Soumyajit Ghosh bt Harmeet Desai 4-1 (9-11, 11-6, 11-8, 11-5, 11-6), Anthony Amalraj bt Nitin Thiruvengadam (AAI) 4-3 (7-11, 11-9, 15-17, 10-12, 11-7, 13-11, 11-7). Doubles (Final): Sourav Saha/G. Sathiyan bt Jubin Kumar/ A. Amalraj 3-1 (8-11, 11-8, 12-10, 12-10). Women (Final): K. Shamini bt Poulomi Ghatak 4-0 (11-7, 11-1, 11-8, 11-2); Semifinals: K. Shamini bt Pooja Sahasrabudhe 4-1 (11-6, 7-11, 11-9, 11-5, 11-7), Poulomi Ghatak bt Madhurika Patkar 4-2 (6-11, 11-3, 11-9, 12-10, 8-11, 11-4). Please note that the photo is a file photo. Indians are shining on the World stage again!!! 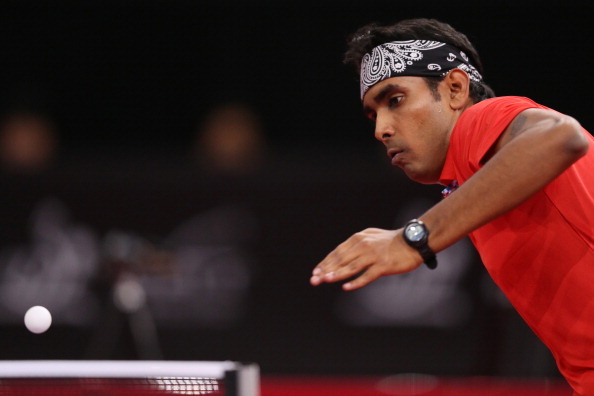 Sharath Kamal has reached the Quarter finals of the ITTF World Tour tournament at the Czech Republic. Sharath has a great chance to reach the semi-finals and beyond now. He now plays Daniel Gorak of Poland who upset second seed Patrick Franziska of Germany. In the earlier rounds, Sharath beat Jakub Dyjas of Poland, Le Brenton Thomas of France, and Mattias Oversjo of Sweden. In the comments, please watch a very interesting video of Oversjo that went viral on the Net. 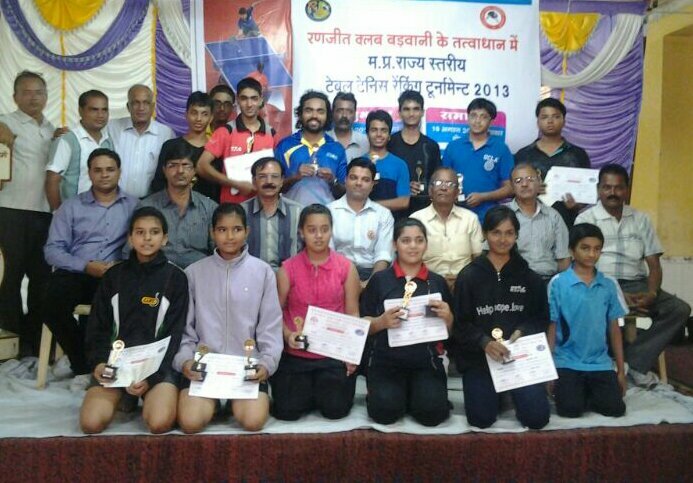 Results of the Madhya Pradesh State Ranking Table Tennis tournament held recently. Prashant Aher won the Men's singles title beating Rohan Joshi. Subj r . girls - Anusha Kutumble Winner, Aru Vaishnav runner. Indian ace Sharath Kamal is participating in the GAC Group 2013 ITTF World Tour, Czech Open, Major Series 21 Aug 2013 - 25 Aug 2013, Olomouc, CZECH REPUBLIC. Owing to his World No. 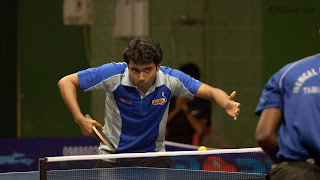 64 ranking, Sharath is the seventh seed in the tournament. In the doubles, he will be partnering young Ricardo Walther of Germany. Incidentally, Ricardo is a team mate of Sharath's at Borussia Dusseldorf, which also boasts of other big names such as Timo Boll, Patrick Baum and Cristian Suss. The Czech tournament will be a very good warm up for Sharath as Borussia Dusseldorf have a match against TTC Zugbrücke Grenzau on 31st August. This is certainly Indian Table Tennis history being re-written! 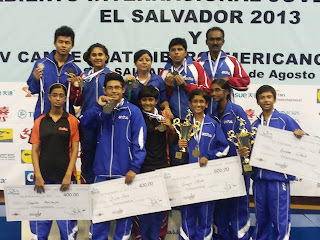 The very young cadet team swept most titles at El Salvador beating more senior International ranked players, including in the much higher age group of Under 18, even though they are Under 15! Three cheers !!! We are losing count of the Gold medals , just listing some achievements of the many winners and runners up. 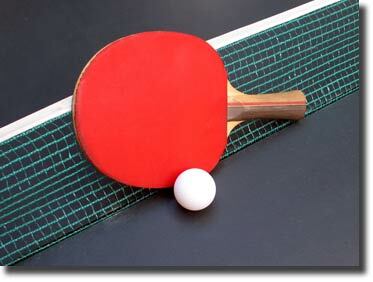 The Jaipur edition of the Rajasthan State Ranking Table Tennis tournament runs from 16th August to 18 th August. Tournament alert provided by Shubham Ojha. 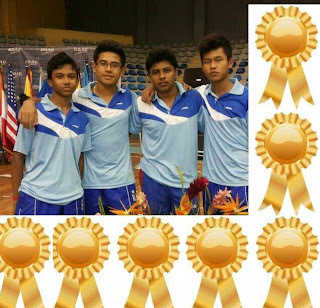 The Indian Cadet Table Tennis team again dominated the team events at 2013 El Salvador Junior & Cadet Open - ITTF Junior Circuit. In both the Boys and Girls sections, two Indian teams played out the finals! Birdie Boro and Anirban Ghosh played in the Cadet Boys finals winning team against Lalrin Puia and Arjun Ghosh while Sagarika Mukherjee and Calange Ravichandran Harsha Vardhini beat Moumita Dutta and Aishwarya Pathak. 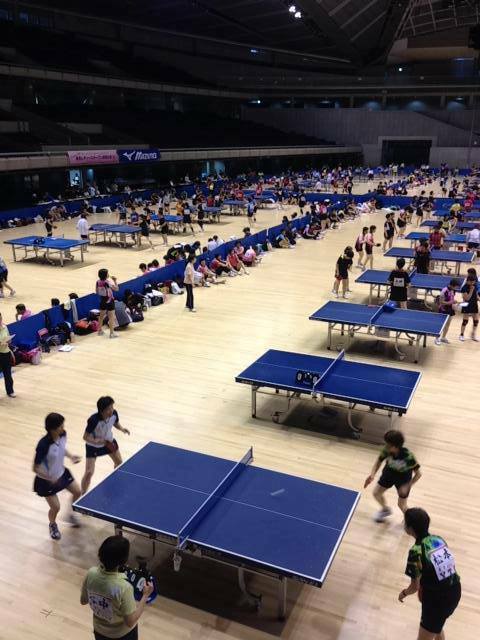 Table Tennis tournaments in India - Just concluded tournaments, Upcoming tournaments. Please send any information of tournaments in your region. Mouma Das, India's Table Tennis team member for a long time is among the Arjuna Award winners this year. The list also has several champions in other sports including the recent medal winner at the World Badminton Championships P V Sindhu and Virat Kohli. Belgaum District Table Tennis Association is organizing LIC CUP - Karnataka State Ranking Table Tennis Tournament for the year 2013, sponsored by Life Insurance Corporation of India, Divisional Office, Belgaum and co-sponsored by Belgaum Club, from 15 August 2013 to 18th August 2013 at Belgaum Club Badminton Hall, Club Road, Belgaum. The tournament is also supported by Shree Raghavendra Co.op Cr.Society Ltd. Belgaum and Venugram Multi Purpose Co.op Society Ltd. Belgaum. We really need to stand up and take notice of this girl's achievement. Absolute Respect! Please watch the video, link is in the comments. Ankita Das has not just reached the finals of a World Tour Table Tennis tournament, which is already a great achievement. Here's more - she gave a huge fight against the World cup runner up Elizabeta Samara of Romania (who lost the World Cup final to Liu Shiwen of China) of Romania. Remember, the World cup and such elite events are dominated by the Chinese and other Asian or players of Asian origin. In fact, it is worth noting that the Romanian player is the second highest ranked non-Asian (or a player originating from an Asian nation! Ankita stretched the world class player, ranked No. 19 in the world in two deuce games and also another close 11-9 game. Kudos to Ankita, keep going strong, work strong. Manika Batra and Soumyajit Ghosh﻿ won the U 21 Girls and Boys titles at the Brazil open. While Manika beat the host nation's Caroline Kumahara 11:5, 9:11, 12:10, 11:5 and 11:5, Soumyajit over came Benjamin Brossier of France in seven tough sets 8:11, 6:11, 11;7, 11:6, 9:11, 11:7 and 11:2. Incidentally, Soumyajit beat G Sathiyan also of India, who won the bronze medal. All in all, the Indian players ensured a rich medal haul with Ankita Das reaching the finals (to be played today), again beating Caroline Kumahara and Harmeet Desai (semi finals). Ankita Das faces the very strong Elizabeta Samara of Romania, who recently achieved the rare feat of an European reaching a World Cup final. 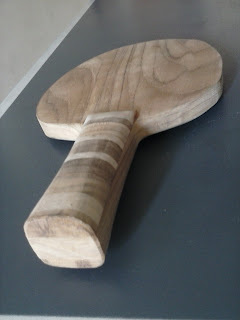 Looking for ways to improve the Power on your Table Tennis strokes? Try the extra thick (3X - 5X normal thickness) custom power Limited edition Table Tennis worker! Best used in shadow practice and other drills. 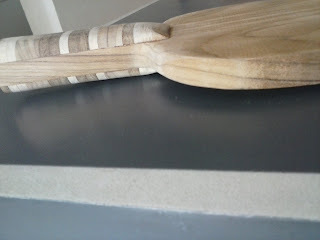 Design by Ankit Singh. Available only on pre-booking. Aniban Ghosh and Birdie Boro won the gold medal in the Cadet Boys section. 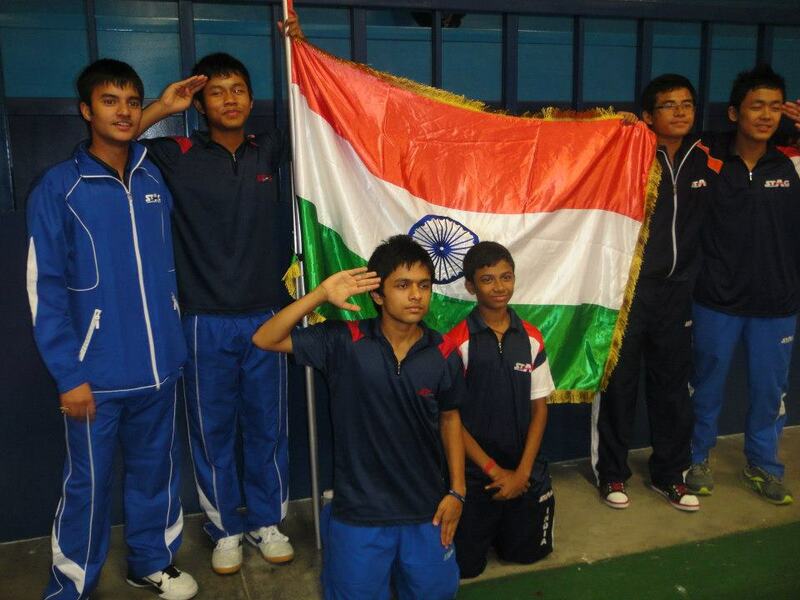 India has started it's medals sweep at the Guatemala Junior & Cadet Open - ITTF Junior Circuit tournament. In just over an hour, they will play in two semi-finals. India A team represented by Anirban Ghosh and Birdie Boro, India B team represented by Lalrin Puia and Arjun Ghosh. All the best!!! Go for Gold. 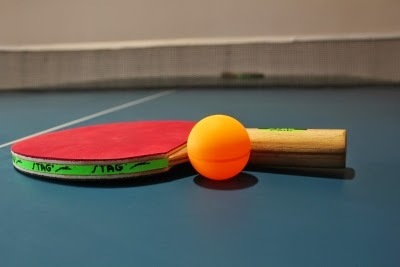 The Punjab Ranking Table Tennis tournament will be played from 9 to 11 August at the Shri Narotam Hall, Hindi Putri Pathshala, Khanna, Punjab. Competition will be held in the following categories - Sub junior, Junior, Youth (all these events Boys and girls), Men and Women. Ghosh, Birdie Boro and Sutirtha Mukherjee. The tournament runs from Aug 7 to 10. 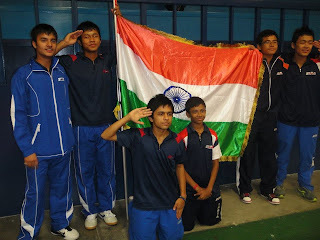 Full list of Indian Junior and Cadet players. 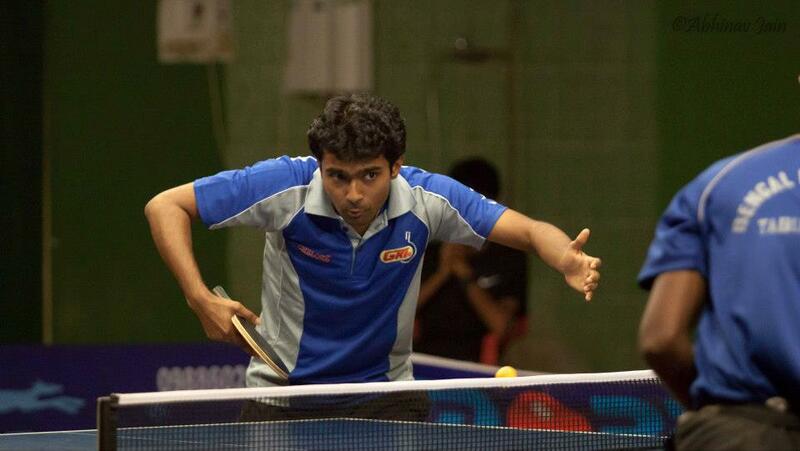 Anirban Roychowdhury won his first Karnataka State Ranking Table Tennis title at Malleshwaram Association. He beat recent title winner Rakshit RB. 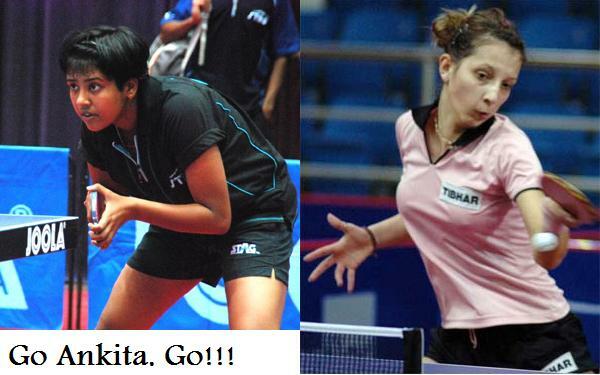 Archana Kamat continued her dominance beating Aishwarya R Bidri. Chowdhury beat Rakshit RB, who recently won a title, 11-5, 11-9, 15-13, 11-13, 11-1 while Kamath won 11-8, 11-7, 11-1, 11-3 against Aishwarya R Bidri of BNM in the women’s finals. Rakshith beat Sagayraj 7-11, 11-8, 4-11, 11-7, 7-11, 11-7, 11-5. 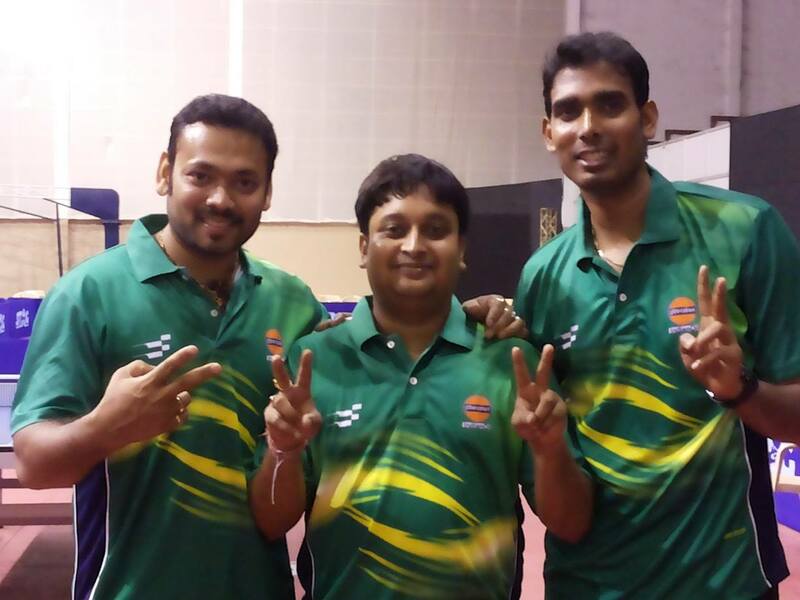 Doubles: Shreyal K Telang/ Pradeep V (BNM) bt Susmith RB/ Madankumar S (Malas) 13-11, 11-2, 11-9. Veterans: Jagadish Bidarkoti (HOR) bt Gopinath DP (Malas) 11-9, 11-6, 6-11, 12-10. Indian Oil Corporation (IOC) Oil and Natural Gas Corporation (ONGC) 3-1 to win the Inter Unit Table Tennis Championships. 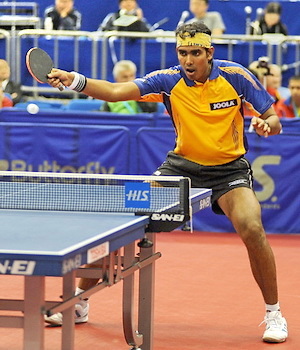 Sharath Kamal was the hero for the winners. He beat both A Amalraj and Zubin Kumar. Sourav Chakraborty beat G Sathiyan in the other crucial rubber.